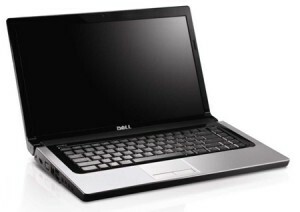 This will help diagnose the problems and the possible solutions for your needing to laptop. 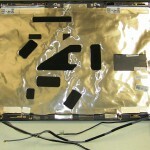 As the most frequently used and fragile component on a laptop, there are many ways a LCD screen can fail. 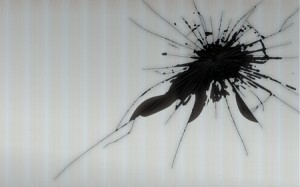 The most common reasons to replace a LCD screen are physical damage or cracks. Other reasons for replacement could be vertical and/or horizontal lines, dead pixels, a dim screen, or a flickering screen. Besides from an obvious crack or a spider web crack, most cracks will be under the surface, with the glass inside the LCD screen. To the touch, you may not be able to feel the cracks, but they are fairly visible. You can lightly twist the LCD screen to help make the cracks more visible. Other cracks will appear more like liquid or ink has spilled under the LCD screen. Individual or groups of pixels or a visible line of pixels appears either vertically or horizontally. These dead pixels or lines will not be caused by a video card. The simple test, hook up an external monitor to see if the lines or pixels appear there also. If the lines or pixels do not appear on an external monitor, then the LCD screen most likely bad. 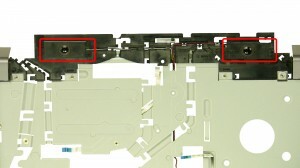 Occasionally, dead pixels and lines can be caused by a bad LCD screen ribbon cable. If the dead pixels or lines go away or change positions dependent on the angle of the screen, it could be a damaged LCD screen ribbon cable. Flickering screens are usually caused by inconsistent power. The LCD inverter, which supplies power to the LCD screen's florescent light bulb, may be failing. When the LCD inverter starts failing it may become hot or start buzzing. Another cause could be if the screen flickers only when the screen is at a certain angle, then you may have a loose or damaged LCD screen ribbon cable. You will need to open the laptop and make sure the screen cable is plugged in to the video card, motherboard, and back of the screen. 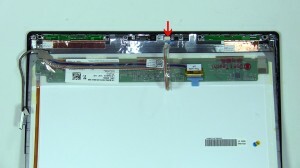 If all of the connections are secure, then replacing the LCD screen ribbon cable or LCD inverter may be necessary. A very faint or dim image can be seen on the screen, with the brightness controls turned up, but the image is not bright enough to be usable. This issue is very common with CCFL (Cold Cathode Fluorescent Lamp) type screens. The majority of the time that this occurs with a CCFL, the LCD screen inverter is to blame. 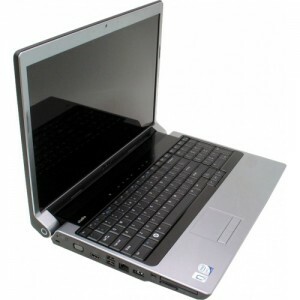 The inverter powers the backlight in the screen and if it malfunctions, the screen will stay dim. In the remainder of the cases, the florescent bulb may fail to light up causing the screen to stay dim even with a good working LCD inverter. Replacing the LCD inverter is the most inexpensive place to start, but because there are many different LCD screens and LCD inverters, finding an LCD inverter that is compatible with your screen can prove to be difficult. Also, if the LCD screen turns out to be the problem, then you could waste time and money on the LCD inverter. To avoid this problem, I suggest buying a LCD screen with the compatible LCD inverter included. What about vertical black dots? They would randomly come on the screen. Always vertical. Are they complete vertical lines or just a few pixels? Does gently flexing the screen change their location or make them go away? 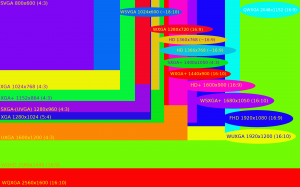 Are they completely random or do they appear after a certain length of time or after using a particular program? They were like round dots in a straight line, just up and down, they would appear at random, not program specific, when you did anything, the windows would change, the dots would stay. That’s are hard one. I would think it would be cable or GPU related. It’s hard to say without being able to see it and mess with it. I have same problem , is there any solution for it?? What about a flashing line across the bottom of the screen? Have a dell 1545 showing inverted colors on the LCD screen. I’m almost convinced that the screen is fine but the inverter board is the cause. The color inversion happens from boot screen, so it can’t be OS related, an external monitor works fine so it can’t be the video board or drivers. Can you confirm this before I purchase just the board? Bayne, actually, the inverter can go bad and cause screen(back light) to go off and never come back on. Or the on-board video graphics can go bad and cause all sorts of random characters or glitches on the screen, which is nothing like any lines you’d experience if the screen itself is faulty.  Screen is dim or normal depending on the position of my display. If I move the display around, I will lose or get back the screen. 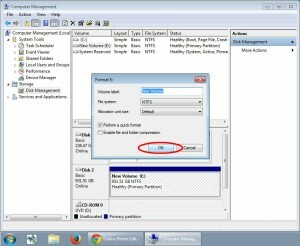 A dim screen dependent on the position sounds like a damaged or loose LCD cable. You should check the cable connections at the motherboard and the back of the screen. Also check to see if there is damage to the cable around the hinges.